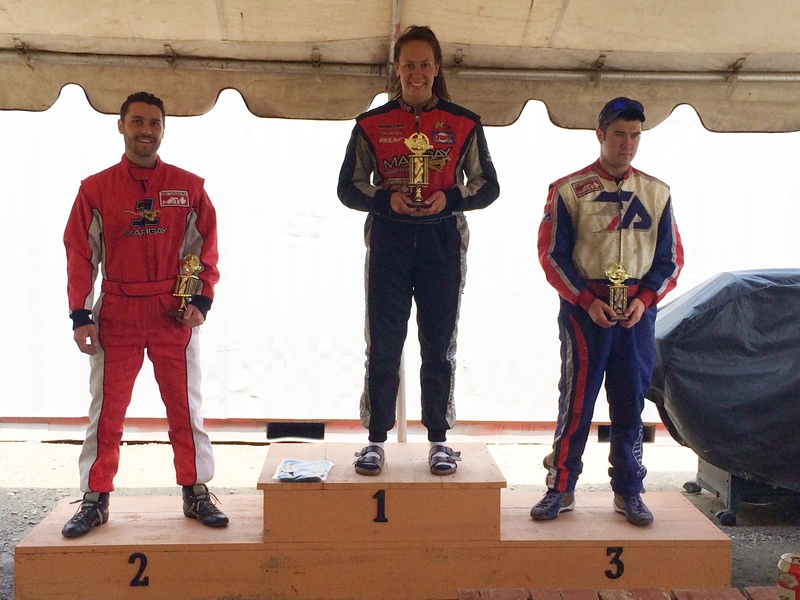 (Quyon, QC) It was a hot and humid weekend for Race #2 of the Ottawa-Gatineau Karting Championship! Although the weather forecasters were calling for probable rain, what we got instead were sunny skies and hot hot heat! Due to a conflicting regional karting event in Montréal, only 17 racers braved the heat to compete in this weekend’s race. The race was originally scheduled to be held at Karters Korners; however, the venue was ultimately changed to Le Circuit Quyon due to unforeseen circumstances. The only offical classes raced today were Briggs & Stratton Senior and Masters, although a non-points race was held in the Junior category. Vincent and Paul shared the track with the Seniors at today’s event. They had a great time trying to keep up to the pack and learned a lot from the experience. Although only two junior racers were able to participate today, the opportunity to race with the seniors was well worth it! Great job by both Vincent and Paul! Today’s battle in the Senior category went right down to the wire. The front four racers were in a close pack for the majority of the race, with Charlotte eking out a narrow victory over last year’s overall Senior champion, Michael Forget. 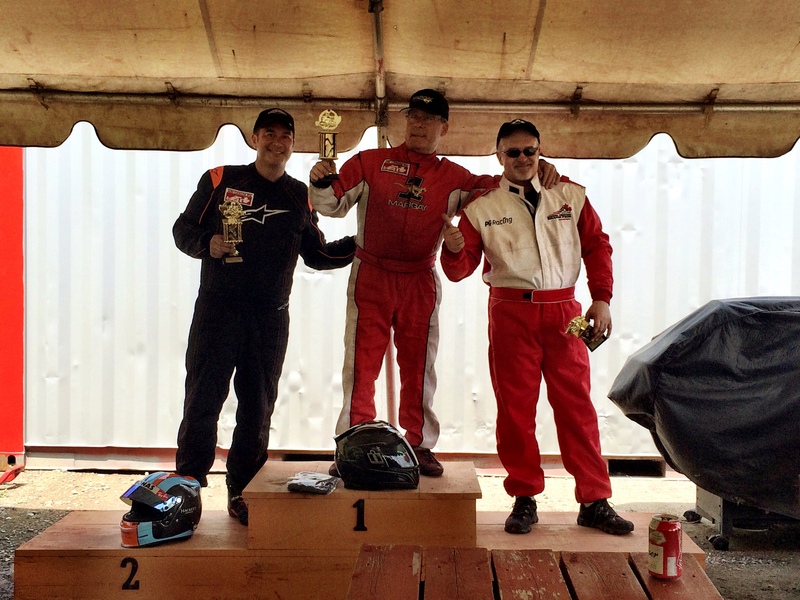 Positions shifted throughout the 18-lap race amongst the top three racers – it made for an exciting event! Mike Forget led from the start to finish, winning by several seconds over Crawford Kilpatrick. There was a fierce battle between several racers for second position – Crawford, Darren Mallette, Ron Henrie, and Sylvain Coulombe. As the race approached its 18-lap distance, mechanical gremlins impacted both Darren and Ron, confirming 2nd place for Crawford, who was able to hold off Sylvain until the chequered flag. Congratulations to all of the racers that made the podium, and a big thank you to everyone that participated in Race #2 of the 2016 OGKC! Great job everyone! Also thanks to Race Director Jason Bolton, the track marshals, the great support staff at Le Circuit Quyon, and First Aid personnel for working throughout the day to keep the racers safe during the event. The next race is scheduled for the June 11-12 weekend at Le Circuit Quyon. 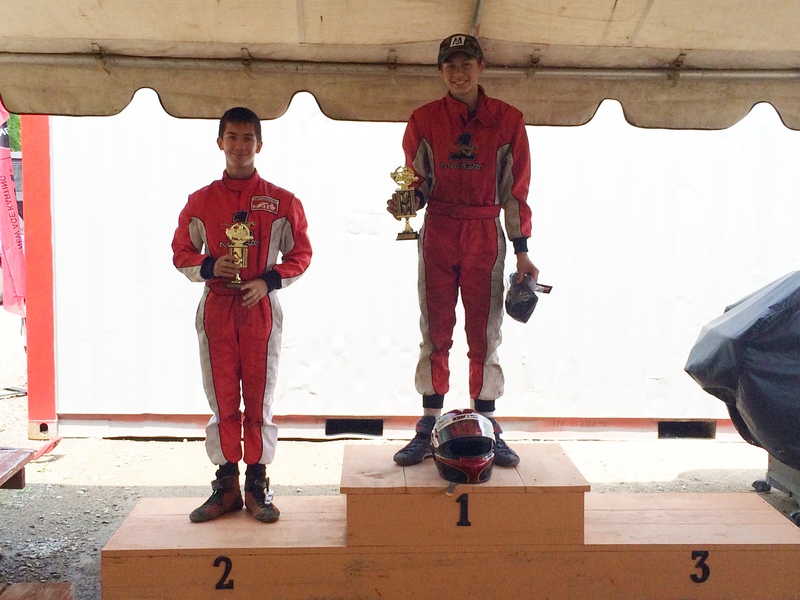 Race #2 of the OGKC Rental Kart Challenge is also scheduled for June 12th. Please click here for more information on the rental series. See you back on track in two weeks! Previous PostRace #2 – Online Registration Now Open!!! !Next PostOGKC Spotlight Series – Jonathan Séguin!